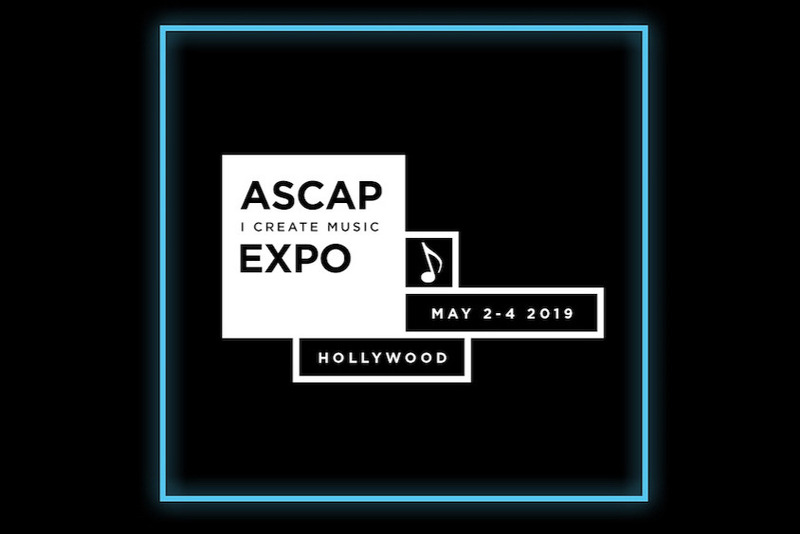 Help Send J.R. to the 2019 ASCAP “I Create Music” EXPO in Los Angeles! First and Foremost – A BIG THANK YOU! to those of you who have been early supporters of my Go-Fund-Me campaign to raise funds to carry on making music focused on love and compassion. Your generosity so far has been PRICELESS and Means Heaps! But now I’m making an URGENT REQUEST FOR YOUR IMMEDIATE HELP in getting the funds together so I can attend the 2019 ASCAP “I Create Music” EXPO in Los Angeles, which is fast approaching. This is a wonderful opportunity to attend this important conference for the working musician … but I can’t do it without you. I’m seeking a fast 100 folks to donate just $10 by April 27th to pay for the purchase of airline tickets (SEA to LAX), conference fees and traveling incidentals. I'm officially dubbing this the “10x100 SPILT MLK FUNDRAISER for J.R. Rhodes” The first 100 folks to give $10 (or more! ), will get a very special THANK YOU gift directly from me in the form of a download of the EXCLUSIVE, EARLY RELEASE DEMO of my new song, “SPILT MILK”! With just two weeks left before the ASCAP “I Create Music” EXPO, time is not on my side... but your love of music and your generosity is! Your immediate support, right now, ensures I get this wonderful chance to make contact and network with music and film industry professionals who are showing interest in my work. Thanks to you, I have come this far... now, let's keep going! Now back to our program. Thank you! I am J.R. Rhodes. Thank you for visiting my GoFundMe. Thanks for watching the video of a new song called 'Everything Must Change' I co-wrote with singer/songwriter Leslie Braly. That's Leslie there singing with me. It’s been a long and winding road of highs and lows for me over the last several years. The highs of playing music for role models like Nikki Giovanni and Alice Walker came after years of lows, of compounded loss, losing my core family – my parents and both my sisters. Though it has taken some time, with the help of music and mentors, I am grateful for the learning from life’s highs and lows. I've come to believe these experiences have made me a more compassionate person and it's my intention to focus that compassion so it comes through in the music. I’ve also come to believe that compassion contributes to making the world a better place. Compassion for myself and others is a key driving force behind why I make music today. I’ve been making music as an independent singer/songwriter for over 20 years now. Once upon a time in Middletown, CT, I played and studied music at Wesleyan University getting to experience West African drumming, Javanese gamelan, jazz piano, music composition and more. Music was my life then. And music is still my life. 2018 was an inspiring year of music for me including being commissioned as the featured artist to write songs based on the new works of Alice Walker and Nikki Giovanni and perform them at Benaroya Hall. 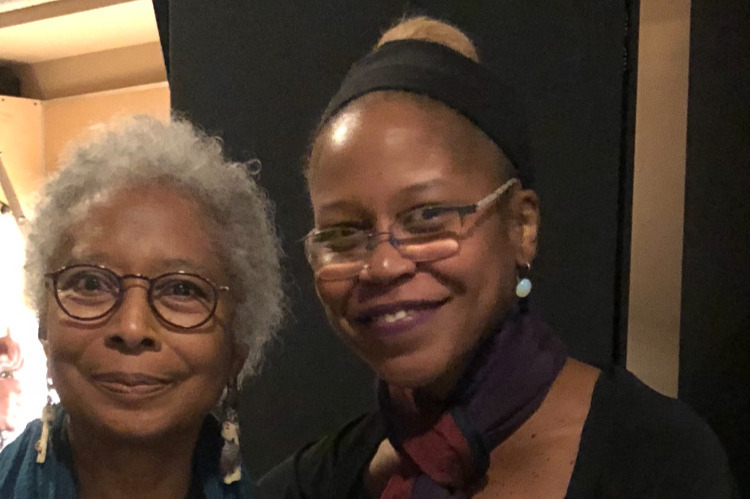 Here below is a picture of Alice Walker and me October 2018 backstage at Benaroya Hall after performing the song I wrote based on her poem entitled ‘Ancestors Never Sleep’. 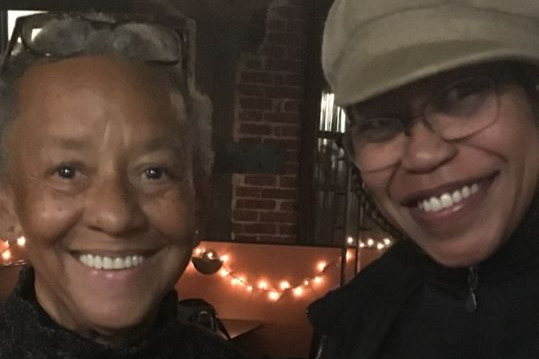 And Nikki Giovanni and me January 2018 before performing the song I wrote based on her poem entitled ‘The Fly on the Wall’ also at Benaroya Hall here in Seattle. And 2019 is off to an inspiring start including a collaboration with pedal steel guitarist Dan Tyack. We just wrote a song together called, ‘Look What Love Can Do’. *Gigs4U: Gigs4U recently added me to their roster. As well as a consistent performance gig, it’s been a beautiful experience singing for and meeting new friend travelers at SeaTac airport. One traveler, after hearing me sing a song said "he needed that" and then said he’d flown to see his father who was ill, but his father died before he arrived. We chatted for a bit. Then he asked if I’d sing another song before his flight. I did and then we wished each other well and hugged goodbye. It’s experiences like that that remind me why I make music. *The Jack Straw Cultural Center: I've been recently invited me to lead Jack Straw music projects with 2nd, 4th and 5th grade students, helping them write, learn and record their first song. It’s a privilege to give back to the community sharing what I’ve learned so far about music to help them on their way and in their own way to express themselves, especially those who have challenging home lives. *Upcoming Recording: Writing and preparation has begun for upcoming recording. *Bookings: Upcoming shows in Washington, Montana, Colorado, Alaska and more. I ask for your help today with raising money to meet these and other upcoming opportunities. So, if my music so moves you, please join in supporting my humble music business at this time. *Guitar Maintenance – My guitar is my key writing and performance tool. *Vehicle Maintenance - Key form of transportation to gigs near and far. *Home Office Expenses – Key creative place (writing and rehearsing) as well as office space. Projects and gigs are lining up. And due to timing and unexpected expenses in meeting upcoming opportunities,I appreciate and need your help now. And so, I now ask your help in keeping things moving forward. For those of you who’ve donated money for my previous projects including my 5 recordings, thank you again and I hope you’ll give and spread the word again. For those of you here for the first time, thank you for your consideration and I sure hope you join in. And please be sure to check back here for thank you gift updates. The more that is raised in whichever form helps create more music. Thank you for lending your ears and hearts to the music. Thank you for your support. Thank you from the bottom of my heart. Yup. *To contact me personally, email: hello@jrrecordingco.com. The first 100 folks to give $10 (or more! ), will get a very special THANK YOU gift directly from me in the form of a download of the EXCLUSIVE, EARLY RELEASE DEMO of my new song, “SPILT MILK”! This is a taste of what your gift is supporting. Thank you for being a part of the music.